This article focuses on a number of special provisions in the law with respect to the main residence capital gains tax exemption that may be applied under certain circumstances to maximize gains on an after tax basis. If you move out of your main residence (“MR”), you may continue to treat it as your MR for up to 6 years if you choose to let it or, indefinitely if you do not. The 6 year period may be reset by re-occupying the dwelling as a main residence. However, as you can generally have only one MR at any one time, no other dwelling can be treated as your MR for the same period if you make this choice. Application of the temporary absence rule is also contingent on your first establishing the dwelling as your MR.
Alan purchased a property intended to be his MR but for whatever reason (eg. he had a busy role at work and chose to live with parents to avoid housework) he never moved into it. 4 months later, he was seconded and the property was rented out for the next 5 years. Thereafter, he repatriated to Australia and promptly sold the property. Because Alan never established the property as his MR, he cannot apply the temporary absence rule (that would otherwise fully exempt any capital gains on the disposal). 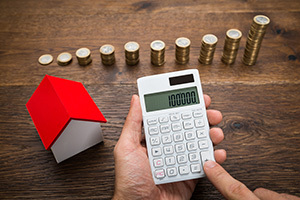 If you rent a dwelling that was your main residence for the first time after 7:30pm AEST on 20 August 1996, the market value rule (“MVR”) could be used to reset the cost base to the market value at this ‘first income’ time (ie. instead of the original purchase contract date, you are taken to have acquired the dwelling at the first income time). That being the case, if the dwelling is sold within 12 months of the first income time, the CGT 50% general discount cannot apply. Improvements and other non-deductible holding costs (eg. rates / loan interest) prior to this first income time are ignored if you choose to apply this rule. Michelle purchased a unit in January 2010 for $500,000 in which she lived in until January 2016. During this time she renovated the kitchen which, together with other non-capital ownership costs, total $200,000. The property was valued at $1M when it was first rented in January 2016 and subsequently sold in January 2018 for $980,000. Michelle’s net capital gain (in the absence of the MVR) would be ($980,000 – $700,000) x 50% CGT discount x 2/8 (ie. non-main residence period / total ownership period) = $35,000. If the MVR is applied she would in fact make a capital loss of $20,000 (calc: $1M less $980,000). Please note, the market value step up to the cost base can only be applied once. In applying the MVR it would also be prudent to mitigate tax risk by obtaining a professional valuation in support, as valuation could generally be challenged by the ATO. As an extension of example 2, Michelle could have applied the temporary absence rule (ie. instead of the MVR) to nullify the net capital gain (in which case the MVR cannot apply as there is no gain left after the application of the temporary absence rule – refer to ATO ID 2003/1113). However, the MVR will still apply if only a partial exemption is obtained under the temporary absence rule (eg. Michelle rented the property for 7 years (of which 6 years are covered under temporary absence)). Whilst there are certainly MR exemption opportunities to be explored for those in the know, the navigation of these provisions can also present uncertainty or even danger for the ordinary person. Quality advice and planning can be effective in the creation of efficient and optimal outcomes.